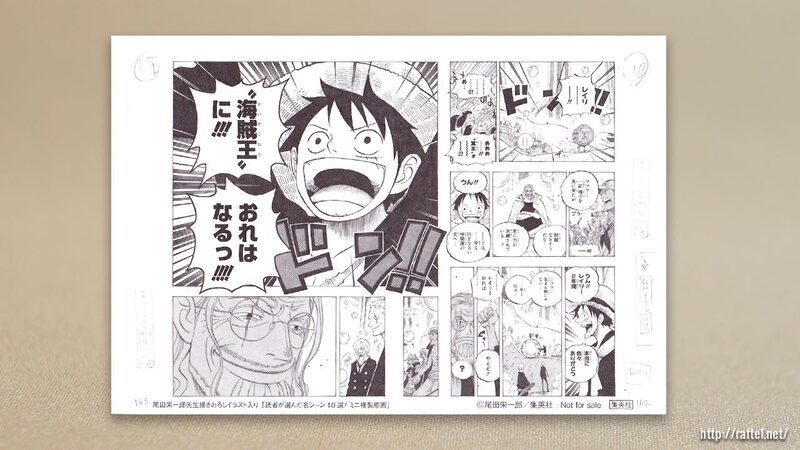 To celebrate the circulation of over 300 million copies of One Piece, mini manga artboard illustrations were given away as gifts with the purchase of Volume 73. 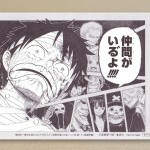 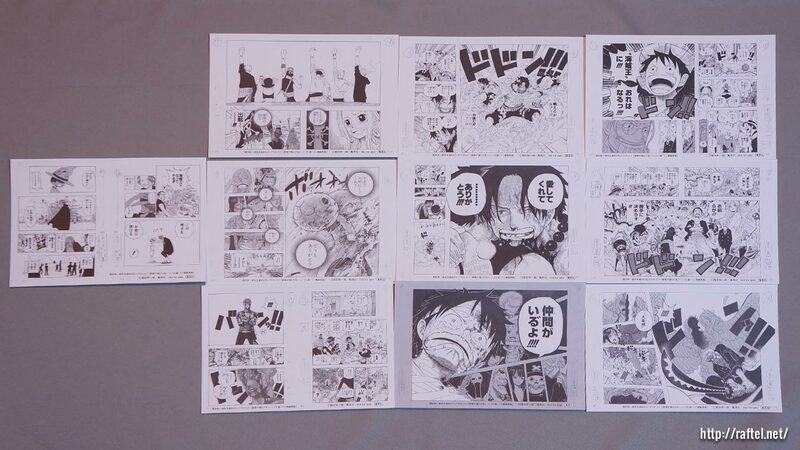 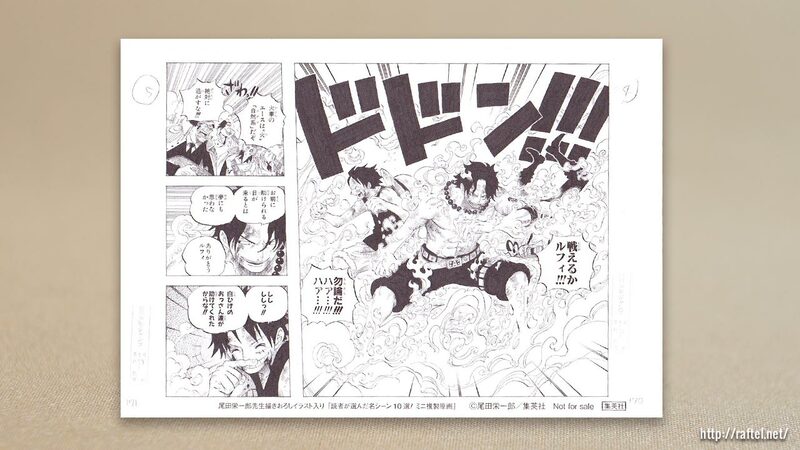 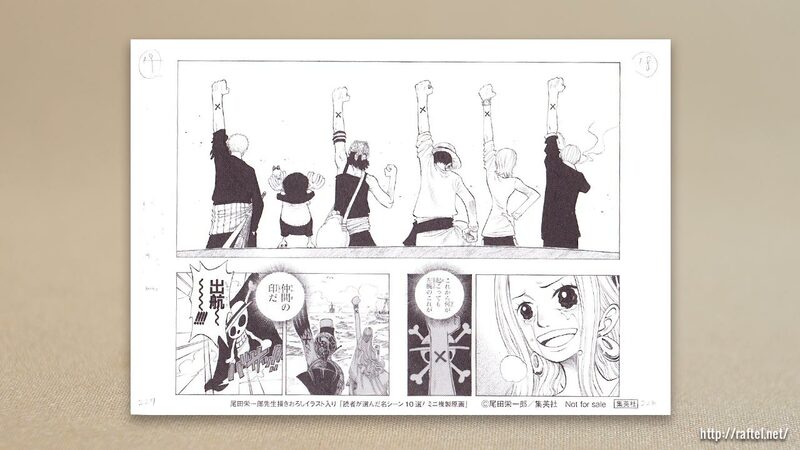 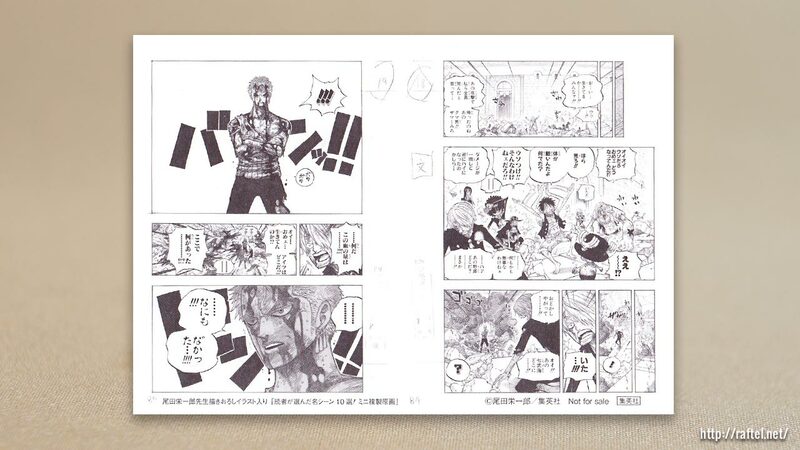 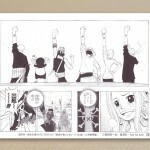 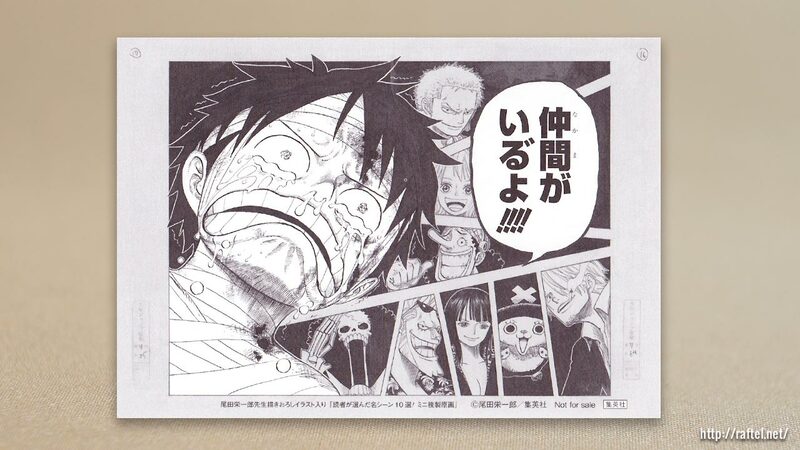 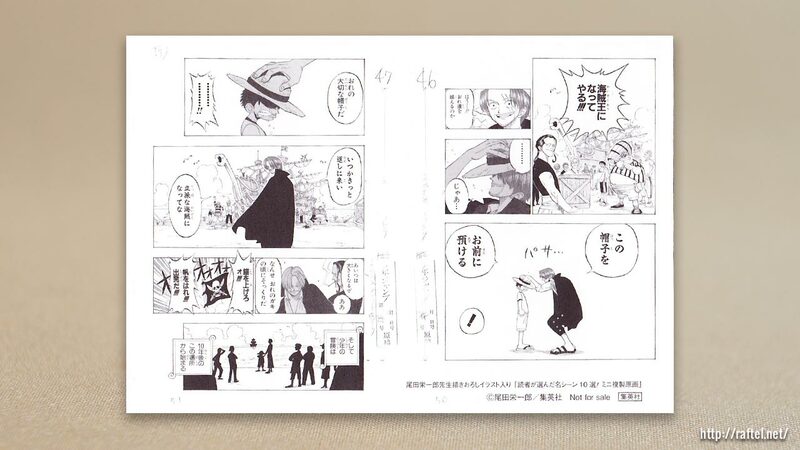 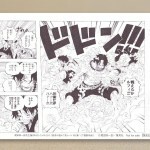 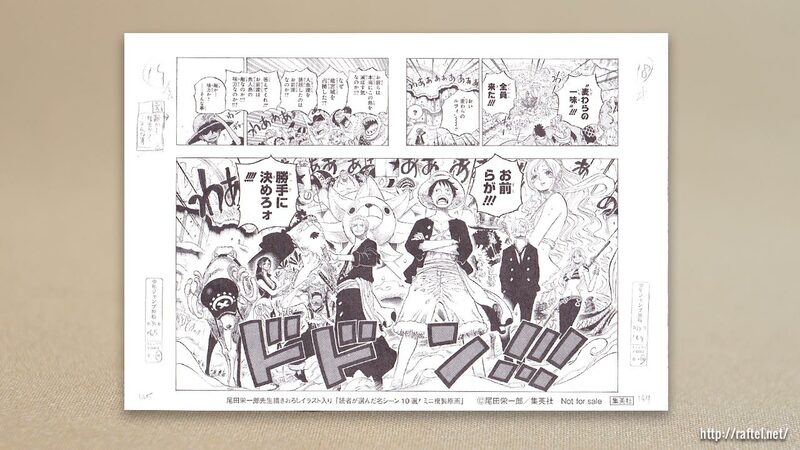 The non-sale mini manga artboards are replicas of 10 scenes selected by One Piece readers. 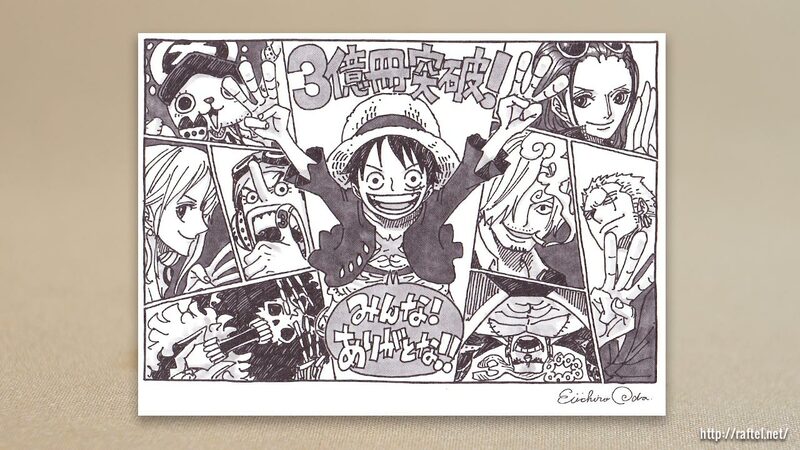 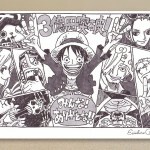 The illustration on the back is an original drawing of the Straw Hat Pirates, with a message of Thanks from Oda sensei. 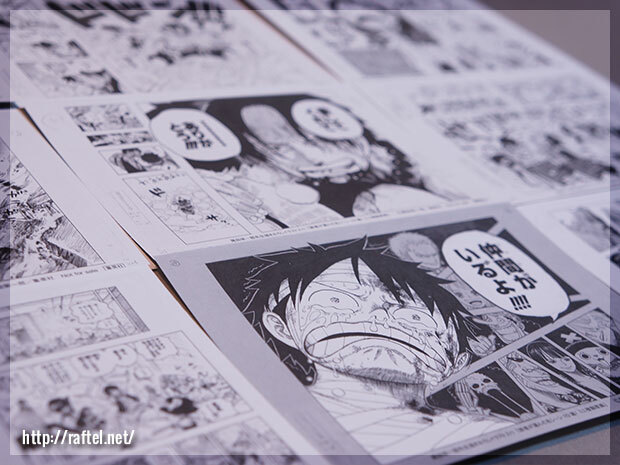 Looking for One Piece Volume 73?